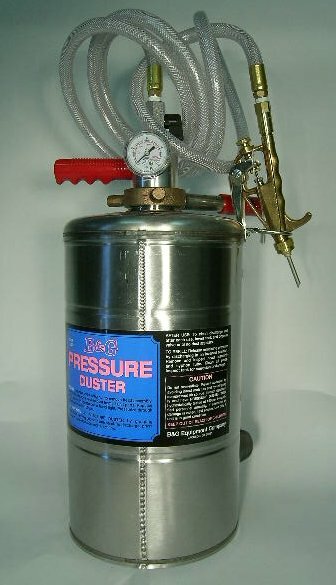 The B&G 2200 Stainless Steel Pressurized duster is a great tool for big jobs. It features a large holding tank – the biggest we sell – and can be pumped with a standard air compressor to “power it up”. Once filled with air, the 2200 can be used to pump dust into voids, attics, crawl spaces or anyplace needing to be treated.